Go to class. It doesn’t get more obvious than that, but late nights and early morning classes make hitting snooze pretty appealing. Life has a tendency to get in the way and when a professor doesn’t take attendance, it’s easy to make excuses to skip class. If you want to know what you’ll need to study, it’s best to get it straight from the source. Start studying now. Maybe your first test won’t be for another few weeks, but now is the perfect time to start committing information to your long term memory. Spend just a few minutes each day reviewing your notes or create a small stack of flash cards to have an easy, portable study tool to use. Set aside small chunks of time every day and when test day arrives, you’ll find most of the information is much easier to recall. Find a study buddy. Get together with a classmate or two to divide and conquer the class materials. Take turns learning about different sections and teaching it to one another. When you are able to teach the subject to someone else and answer their questions, chances are you have a firm understanding of the core concept and can move onto mastering the next one. Set up a study-only zone. When it comes to effective study, the key is location, location, location. Remove yourself from potential distractions by avoiding areas with televisions, radios, friends or even your phone. Conveniently, the library has already done this for you which makes it an ideal location. But if it’s after hours or you don’t live near one, find a room at home with the least ambient noise. Ideally, silence is the most conducive for effective study time. Schedule your distractions. A general rule of thumb is for every hour of class, you should have two hours for studying and completing assignments. Schedule a short ten to fifteen minute break during study time to use the bathroom, move around a bit and check Facebook. Set an alarm to mark the beginning of your break so you won’t feel the need to compulsively check the clock and a second alarm to sound when it’s time to get back to work. Be physically ready on exam day. 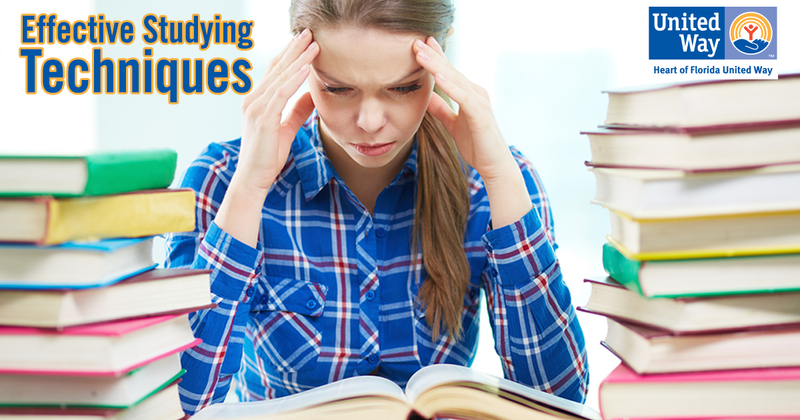 It’s tempting to spend a few extra hours of cram time the night before a big test, but being bleary-eyed and exhausted during the exam is far more harmful to your grades. Avoid caffeine the night before as it stays in your system up to 8 hours and instead aim for 8 hours of sleep and getting a filling breakfast. The energy will help you power through your exam and keep your stomach from being a growling distraction. Keep calm and test on! Heart of Florida United Way believes education, both in and out of the classroom, is a lifelong experience and the most influential factor in ensuring a child will grow up to succeed. To help ensure students get the education they deserve, we fund many programs that serve people from cradle through career, such as mentoring and tutoring services, literacy initiatives, food pantries, medical services and clothing. To get help, please call the 2-1-1 Information and Assistance line. For more information about how Heart of Florida United Way invests in education, visit our website. When speaking with Mina Ford, Executive Director with YMCA of Central Florida Teen Achievers, her passion is contagious. This is more than a job to her and YMCA Achievers is more than just a program; this is Mina’s calling. After spending time as a PT staff and seeing her son off to college and then graduate school, YMCA Achievers became Mina’s passion and she became a full-time employee. Mina’s dedication is easy to understand due to the great work the United Way-funded YMCA Achievers program accomplishes. Focused on college and career readiness, the program helps students look beyond middle school and high school and encourages them to think of their future. The Corporate partnerships provide volunteers to facilitate career and college sessions working together as group mentors. Achievers provides exposure and introduces students to different careers and educational paths. The program prepares students for the transition to college life. For many, they have never spent time away from home before. The Achievers program organizes college tours, visit the dorms and eat at the cafeteria to get a real taste of college life. To help students think about their fields of study, the Achievers invites industry leaders and experts to talk with the students. Once they have a goal in mind, students are coached in career readiness. 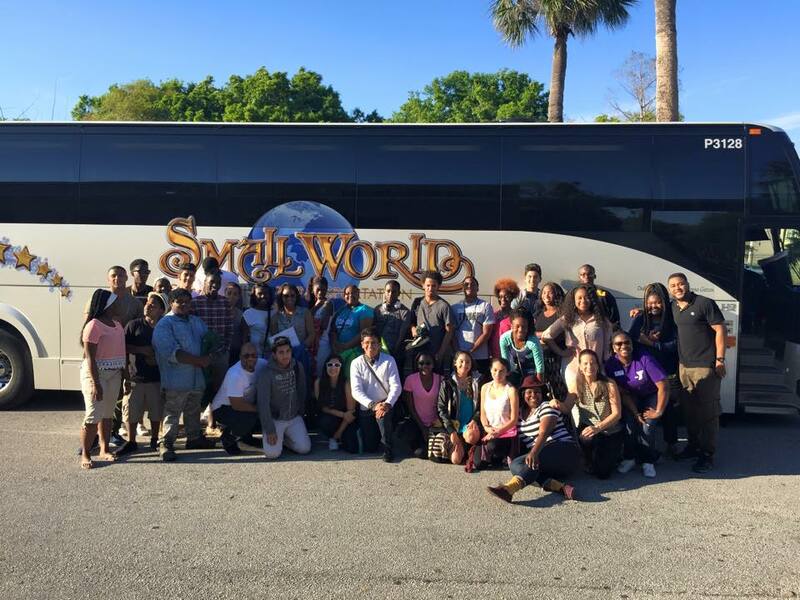 Serving Orange, Osceola and Seminole counties, volunteers in the program help prepare resumes and teach how to handle professional correspondence, helping students prepare to have real jobs. Since its inception 25 years ago, the YMCA Achievers program has served over 11,000 students, including 150 funded by United Way this past year. The Achievers program gives students a real opportunity at improving their future and paving the way for success, key tenants of United Way’s philosophy. For more information about YMCA Achievers or how to volunteer, visit the YMCA website. With college graduation comes celebration and relief. But after the parties end, reality sets in. For 40 million Americans, student loans are a necessary evil in order to pursue higher education. Facing a large loan balance can be overwhelming and confusing, so it’s important to understand your loans and your repayment options. When do I start paying the loans back? For most federal loans, you have a grace period of about six months from the time you graduate until you need to start making payments. During that grace period, if you have an unsubsidized loan your account will still rack up interest charges; you just won’t be responsible for the principle (the amount you borrowed before interest). If you get a job after graduation and can afford to start making payments before the grace period is up, absolutely do so. It will help bring down how much interest you pay over the term of your loan. Some loans do not have a grace period, so be sure to double check your lender agreement for your payment start date. What do I actually owe? It’s not uncommon for loans to change lenders over time. If you can’t find your lender or loan details, this site can be a huge help. This will help you locate your lender, figure out how much you owe and what your monthly payment will be. I’m supposed to pay that?! Standard: You pay a set amount every month for up to 10 years. Under this plan, the payment amount never changes and you pay it off faster and with less interest than other plans. 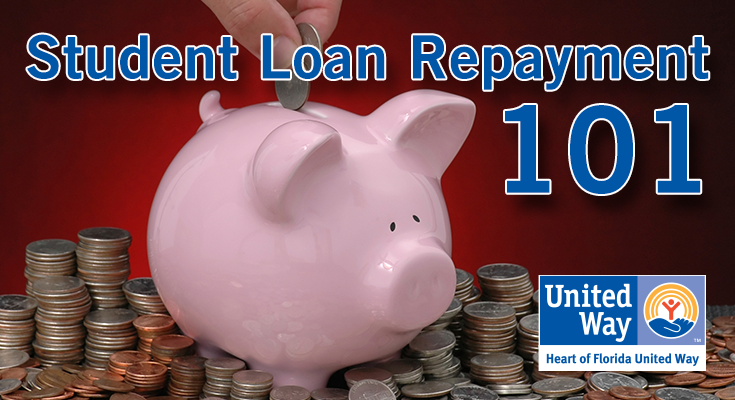 Graduated Repayment: You’ll pay less on your loan every month at first, then it will gradually increase. This can give you some more wiggle room when you’re first starting out but you will pay more on your loan than if you did the standard repayment plan. Extended Repayment: Rather than a 10 year term, your loan can be extended in certain circumstances to as long as 25 years. This can greatly reduce your monthly payment, which can be a huge help if your salary isn’t cutting it, but you will end up paying much more than on a standard or graduated repayment plan in the long run. If even on an alternate repayment schedule you can’t afford payments, it’s imperative to work with your lender. Student loans are one of the few kinds of debt that can’t go away with bankruptcy. If you don’t pay, your credit score can get wrecked and the lender can even garnish your wages. No matter how long it takes you, you have to pay back your loans. Deferment: During a deferment, your loan payments are delayed for a set period of time up to 3 years. You can be eligible for deferment if you are unemployed, are deployed in the military or are experiencing significant financial hardship. Deferments are not automatic and you are not guaranteed to be granted one. You’ll need to contact your lender to talk through the application process to have a deferment enacted. Forbearance: If you don’t qualify for a deferment, you may qualify for a forbearance. Your payments can be stopped or reduced for up to 12 months. A temporary financial hardship or illness may get you qualified, but again, the process is not automatic and you have to work directly with your lender. Completely overwhelmed? Lifehacker has a quick guide to help walk you through the process of talking options over with your lender. I have a good job and can actually make my payments! Should I pay extra? Congratulations! Paying even a little more each month can make a huge difference; Extra payments lessen the amount of interest you’ll pay off over the long-term and you’ll have your loans paid off early. The Student Loan Repayment Calculator is a great tool; enter your loan balance, how much longer you have to pay, and your interest rate, and it will show you how making extra payments will impact your loan. Even paying as little as $5 more a month can cut months off your loan terms and can save you hundreds of dollars in interest. This article is meant as a general overview of the most common student loans, but as always, your situation and your loans may differ. Be sure to check your loan terms with your lender. Heart of Florida United Way is focused on addressing the five major building blocks of financial stability in order to provide low-income working families the services and support necessary to succeed. For more information, visit www.hfuw.org or if you are in need of assistance, call 2-1-1, our 24-hour information and referral helpline. Spring is here and with it comes the desire to freshen up your living space and reduce clutter. More than 70% of Americans participate in some kind of spring cleaning ritual. But once the cleaning is done and the clutter removed, many people battle with what to do with the leftover clothes, household items and books. Heart of Florida United Way has an annual book drive to benefit children and can be a huge help to those looking for a new home for their unwanted, gently used books. The Day of Action Book Drive was started to fulfill an unmet need in the Central Florida community. Summer reading loss is a real issue facing school-aged children. 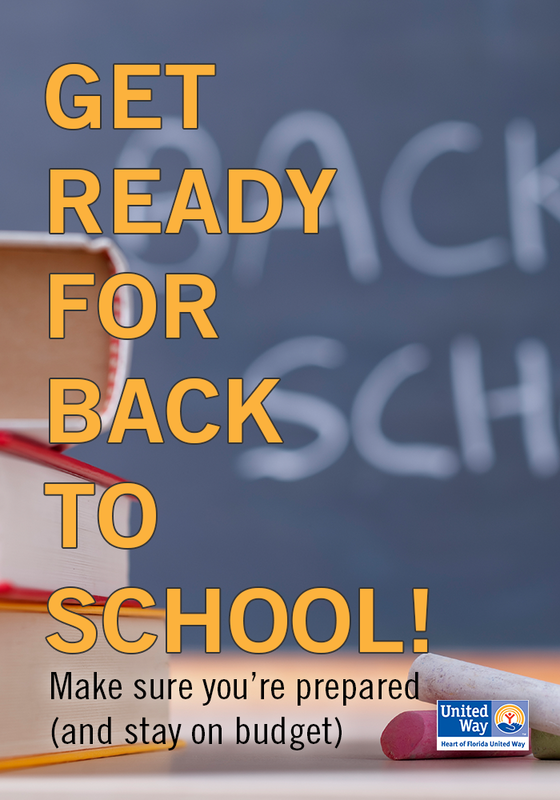 Students can lose up to 25% of their reading proficiency over the course of the summer. 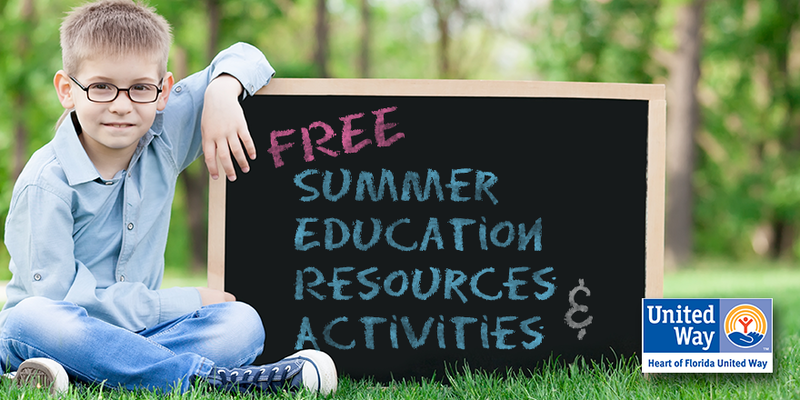 Having access to and reading just 4 books can prevent the summer slide and even improve reading levels. Income and the expense of books is the largest barrier to book access, and children are often unable to make it to a library due to their parent’s work schedules or transportation issues. In middle-income neighborhoods, the ratio of books to children is 13 to 1. But in lower income neighborhoods, the ratio is a staggering 1 book for every 300 children. This causes significant impact to classroom instruction, taking up 22% of classroom time and taking up to a month of instructional time to make up the reading proficiency lost. By cleaning out your bookcases and donating your old favorites, you can help children improve their literacy and set them up on the path to success. You can help by hosting a book drive or just bringing in your books to Heart of Florida United Way’s office May 25-29.For more information, visit the HFUW website.